Welcome to the Marion Model Railroad Club! Located in Marion, Ohio, our club is housed in the historic Marion Union Station, train watching capitol of Ohio! 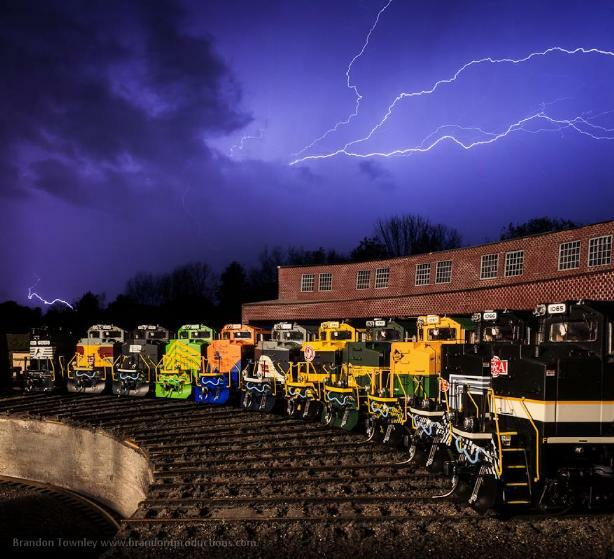 Our site features layout photos, layout information, product sales, member contacts, local model railroading and rail fan events and other resources related to everything trains in Marion, Ohio. Pick up a club car (or all three! ), check out our layout and rail fanning photos and enjoy your stay! Bookmark this site and check back for new content! Thanks! At the end of 2015, we closed the club to regular public open houses so that we could convert the layout's old DC control system to DCC. Through 2016, a few dedicated club members removed the old wiring and began installing a Digitrax DCC system. By the end of 2016, the whole mainline had been converted and was operating, including the installation of decoder controlled mainline switch machines. In 2017, the club was opened back up for numerous tours, groups and events at the station. We are continuing to progress on the DCC conversion, wiring the staging and classification yards. Visitors are still welcome to stop by on Sundays even if we will be working on the layout and not running trains. We will continue hosting groups and open houses with trains running as the need arises. Hopefully the DCC conversion will be completed this winter 2017/2018. SALE PRICING on Club Cars! To celebrate the Marion Model Railroad Club’s 60th anniversary, we present to you a new club car! This AAR Design, welded 50’ single-door boxcar suits any era from the early 1960’s - 2000’s. Based on an N&W scheme of Mineral Red with White markings, these cars are available in 3 factory painted road numbers. Shipping is USPS Priority to the 48 contiguous US states. Simply go to our STORE page to place your secure credit card order or to find information on mailing payment. These cars are a very limited run, so orders yours today before they're gone!